At Maner Builder Supply, we take customer service seriously. That's why we're proud to offer industry-leading sales and support, delivery and logistics options, design expertise, and special orders to ensure the success of your next project. We also provide flexible in-house Credit and Billing to take the headache out of financing. We offer “in-house” credit & billing for our customers. Our “job” billing will help with cost management and invoicing. Click below for PDF files of our updated account information. Maner has experienced Managers, Sales & Support Staff and a diverse inventory to meet the needs of home builders, general contractors, government entities, private companies and the home owner. Maner Builders Supply is a diverse Building & Construction Supply Company that has been serving Eastern Georgia and South Carolina since 1951. Maner has access to thousands of hard to find and specialty items Let our staff help you reach products from thousands of manufacturers from across the country. Our installed fencing services are licensed, insured and bonded. Maner Fence is the right choice for all of your fencing needs. Maner Custom Glass has the latest products to meet your commercial or residential needs. At Maner we are dedicated to providing the best products, highest quality workmanship and competitive prices to our customers. We focus on the custom design of hollow metal commercial doors and frames. Our knowledgeable staff is eager to help with any questions you may have. Maner's in-house Door and Frame Fabrication Shop is for all types of commercial projects. 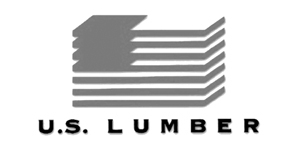 Our experienced staff of engineered lumber experts can help you design and source engineered lumber specifically fit for your project. Let Maner provide you with an accurate material list for your next project – residential or commercial – to help ensure your project is completed with the proper materials and on budget. Maner Builders Supply has been serving the Augusta, GA, Aiken, SC and North Charleston, SC areas for many years. 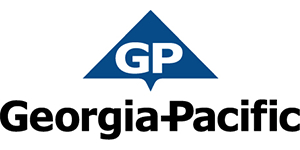 As one of the most diversified building supply companies in the southeast, we are sure to have the perfect products for your next project.